The basil ganglia is directly connected to the brain stem which is the most primitive part of our brain. This part of the brain is responsible for how we survive and has been on the earth for over two hundred million years, whilst the prefrontal cortex scarcely a hundred thousand. The basal ganglia is where your feelings, emotions, memories and instincts are stored and is often called the "subconscious mind". In essence, your basal ganglia or “subconscious mind” is an archive of all your past experiences and learned skills, which then developed into habits. I like to view it as an internal regulator which keeps your thinking and acting in a manner consistent with what you have said or done in the past - holding you accountable to your values. 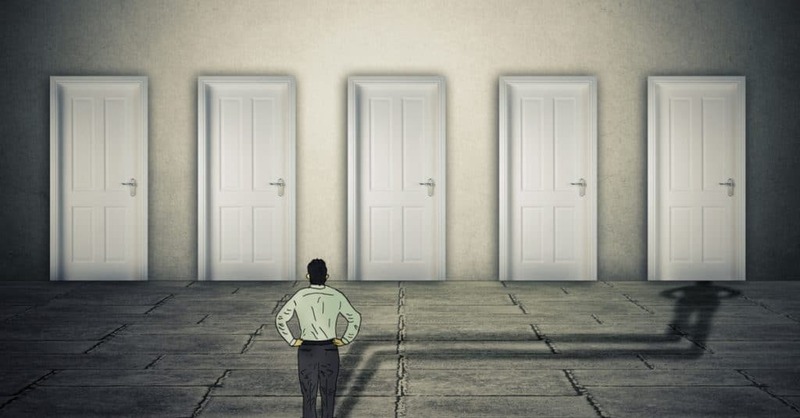 So, the beauty of your gut feeling and why it is so powerful, is that when you’re making a decision that feels right, more often than not, it is based on sound logic and stored previous experience. You just don’t realise this at the time. Have you ever had a bad feeling about a person? You can’t rationalise why but you just feel something is wrong. Chances are you were right about the person. How is this so? Well, gut feelings are products of past experiences and it's highly probable that something said, or done by this person triggered a red flag for you, based on a prior social lesson you learnt, but since forgot. Gut feelings stem from your past, first-hand, experiences – they are not mere fluffy feelings. They are why people know within three of four seconds if they like a song, know within five seconds of walking into a shop whether they will buy something or not (even though they may drag you back to the shop some three times before committing to the purchase...mother!!) and know within 30 seconds of meeting someone new if they are attracted to them or not. All of your accumulated knowledge, from the books you have read, places you experienced, to the people you've met, all gave you a vision (or at least clarity) about what you want and influenced you to be where you are today. Business owners – you, and only you, had the unique collection of past experiences and present knowledge encouraging you to take the leap and transform your vision into a business - I'm willing to bet you did this because it felt right, at the time. Based on this, it logically follows, that you and only you, will continue to have a good sense about what your business needs to fulfil your vision. Trust that your intuition, an embodiment of your experiences, feelings and knowledge, is guiding you in the right direction. And if it doesn't feel right, listen to that feeling. So, the next time you need to make a decision and feel something driving you in one direction over another, don't ignore it. Your primitive brain may not be as articulate as your prefrontal cortex but it is older, wiser and infinitely more understanding of who you are as a person, based on your past experiences and in my view, worth taking the time to listen to. Whilst gut feelings are crucial, it is important to recognise that without a clear vision they won't be accurate. In my next blog I will be explaining how you can bring clarity to your business or career vision..